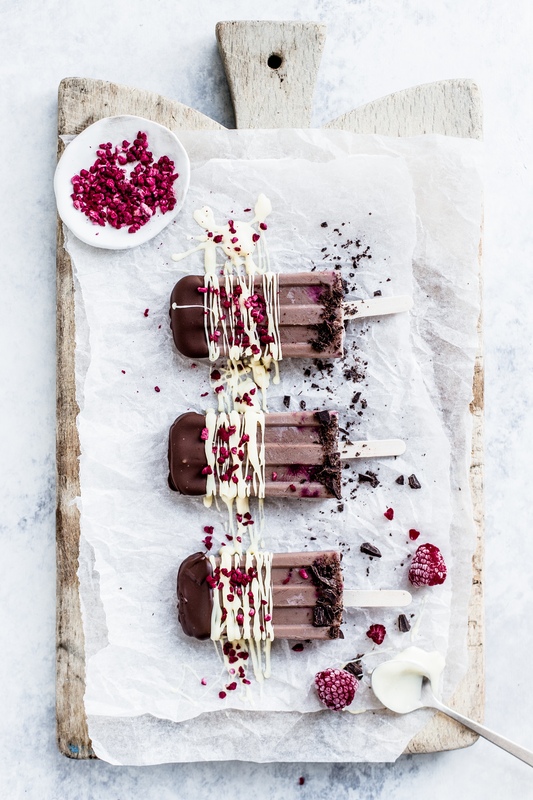 It was Emma Duckworth’s beautiful food styling and mouthwatering images that first caught our attention on Instagram, a quick visit to her blog cemented our love of her delicious sweet recipes and light-filled photography. We take five this week with the talented baker, stylist and food photographer to find out more about what inspires her and how she would spend a perfect day. 1. Where is your favourite destination and why? It would have to be the South of France hands down. My family and I have just returned from living in Sydney, Australia (I was there for 15 years!) and I would say the hardest part of living that far from Europe, was the inability to ‘pop’ over to France. We holidayed in France last summer for the first time since returning to London and I felt like a kid in a candy store the whole time we were there. We hired the most beautiful apartment in a converted chateau on the outskirts of a lovely French village and nothing brought me more joy than wandering around the village listening to the chitter chatter, soaking up that old architecture and buying fresh produce from the local market. I definitely hold more appreciation of the simpler things as I get older and sitting in that village square eating an insanely good croissant was one of those ‘happy sigh’ moments. Ooooh so hard to choose. We cook a lot of Asian food at home. My kids can handle chilli really well and love all types of Asian food from Thai to Indian to Chinese. As a child my family lived in Hong Kong and then India so my palate was heavily exposed to advanced flavours from a young age. Because of my exposure, I wanted my kids to have that open mindedness towards food from other cultures. I’d say Beef Rendang would be one of our family favourites that you can eat with rice, Asian slaw or even add to a wrap. We currently don’t have a garden as we live in an old Victorian house in central London. We do have a small balcony that we have the pleasure of eating out on in summer and I have my plant pots out there where I can get my green thumb fix. As much as they are there to look aesthetically pleasing they are really useful for my baking. I have quite a few herbs out there now and having them at hand is so useful. I love including herbs in my baking, especially rosemary and thyme, so having them within a couple of feet of the kitchen when I need a few sprigs is great. Well it definitely would involve a lie in! They are few and far between with three kids, one being under three. Then whipping up some French crepes for breakfast for the family. A walk around our local neighbourhood of Chiswick to purchase some fresh produce from the green grocer and a stop at our favourite coffee shop down a little mews. In the afternoon on a Sunday I love recipe testing and baking and the girls often get involved, especially my middle daughter, who at the age of nine is determined to go to culinary school and become a pastry chef. In the summer we eat dinner on the balcony which enjoys late afternoon sun and then go for a stroll along the River Thames. To see more of Emma’s stunning images visit her instagram here, and to see her gorgeous recipes visit her blog, Emma Duckworth here. Want more interviews? Click here for our interview with the super talented Rosalind from Her Dark Materials and here for our chat with the lovely Patrícia Nascimento from Coco e Baunilha. Thanks for the steer. Emma has a great blog and lives in one of my old stomping grounds, Chiswick. She does, such beautiful lighting in her food photography!